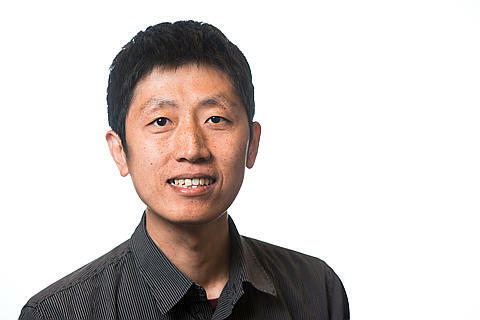 Dr. Kai Zhang's research addresses the treatment and understanding of aerosol and cloud microphysics in the global aerosol-climate model system. He was involved in developing a new version of the global aerosol-climate model ECHAM5-HAM during his stay at the Max Planck Institute for Meteorology in Hamburg, Germany. His current research focuses on: a) investigating the role of dynamics and microphysics in the ice cloud formation process and improving ice cloud parameterization in the E3SM Earth system model; b) assessing the aerosol indirect effect through ice and mixed- phase clouds; c) understanding the role of aerosols and clouds on the global water and energy cycle. 2014 Outstanding Performance Award, PNNL. 2013 Exceptional Contribution Program Award, PNNL. 2006-2007 Governmental Scholarship for Studying Abroad, Chinese Academy of Sciences. 2006 Scholarship from the International Max Planck School on Earth System Modelling Exchange Program, Max Planck Institute for Meteorology. 2002 Graduate Student Award, Chinese Academy of Sciences. Kazil J, K Zhang, P Stier, J Feichter, U Lohmann, and K O'Brien. 2012. "The Present-Day Decadal Solar Cycle Modulation of Earth's Radiative Forcing via Charged H2SO4/H2O Aerosol Nucleation." Geophysical Research Letters 39: Art. No. L02805. doi:10.1029/2011GL050058. Feng, W., Chipperfield, M. P., Dhomse, S., Monge-Sanz, B. M., Yang, X., Zhang, K., and Ramonet, M. 2011. "Evaluation of Cloud Convection and Tracer Transport in a Three-Dimensional Chemical Transport Model." Atmospheric Chemistry and Physics 11(10):5783-5803. doi:10.5194/acpd-10-22953-2010. Kulmala M, A Asmi, HK Lappalainen, et al., with J Feichter, D O'Donnell, and K Zhang, Editors. 2011. "General Overview: European Integrated Project on Aerosol Cloud Climate and Air Quality Interactions (EUCAARI) - Integrating Aerosol Research from Nano to Global Scales." Atmospheric Chemistry and Physics 11:13,061-13,143. doi:10.5194/acp-11-13061-2011. Zhang K, J Feichter, J Kazil, H Wan, W Zhuo, AD Griffiths, H Sartorius, W Zahoroski, M Ramonet, M Schmidt, C Yver, REM Neubert, and E-G Brunke. 2011. "Radon Activity in the Lower Troposphere and its Impact on Ionization Rate: A Global Estimate using Different Radon Emissions." Atmospheric Chemistry and Physics 11:7817-7838. doi:10.5194/acp-11-7817-2011. Kazil J, P Stier, K Zhang, J Quaas, S Kinne, D O'Donnell, S Rast, M Esch, S Ferrachat, U Lohmann, and J Feichter. 2010. "Aerosol Nucleation and its Role for Clouds and Earth's Radiative Forcing in the Aerosol-Climate Model ECHAM5-HAM." Atmospheric Chemistry and Physics 10(5):10,733-10,752. doi:10.5194/acp-10-107 33-2010. Zhang K, H Wan, B Wang, M Zhang, J Feichter, and X Liu. 2010. "Tropospheric Aerosol Size Distributions Simulated by Three Online Global Aerosol Models using the M7 Microphysics Module." Atmospheric Chemistry and Physics 10(13):6409-6434. doi:10.5194/acp-10-6409-2010. Zhang K, H Wan, B Wang, and M Zhang. 2008. "Consistency Problem with Tracer Advection in the Atmospheric Model GAMIL." Advances in Atmospheric Sciences 25(2):306-318. doi:10.1007/s00376-008-0306-z. Zhang K, H Wan, M Zhang, and B Wang 2008. "Evaluation of the Atmospheric Transport in a GCM using Radon Measurements: Sensitivity to Cumulus Convection Parameterization." Atmospheric Chemistry and Physics 8(10):2811-2832. doi:10.5194/acp-8-2811-2008.